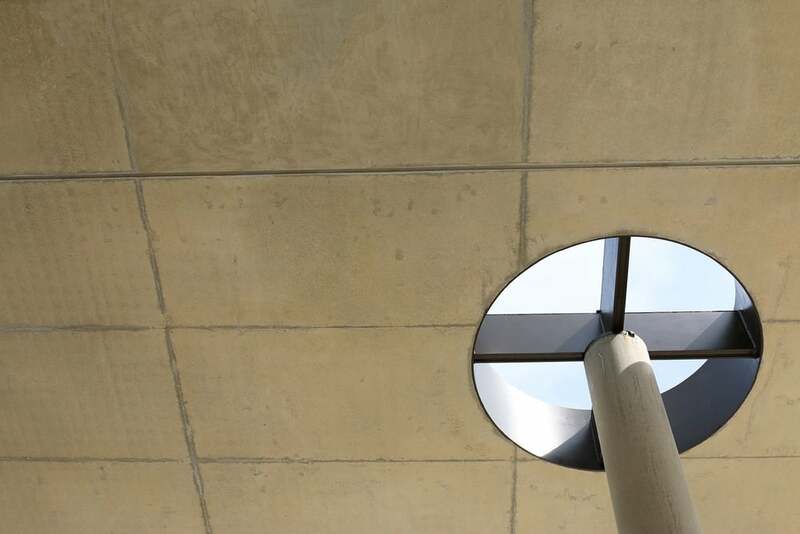 Patel Taylor were commissioned to extend the brutalist 1960s Albert Sloman library and design the new student centre at the University of Essex. Alastair worked on the library extension up to planning and was the project architect for the student centre post planning to construction. 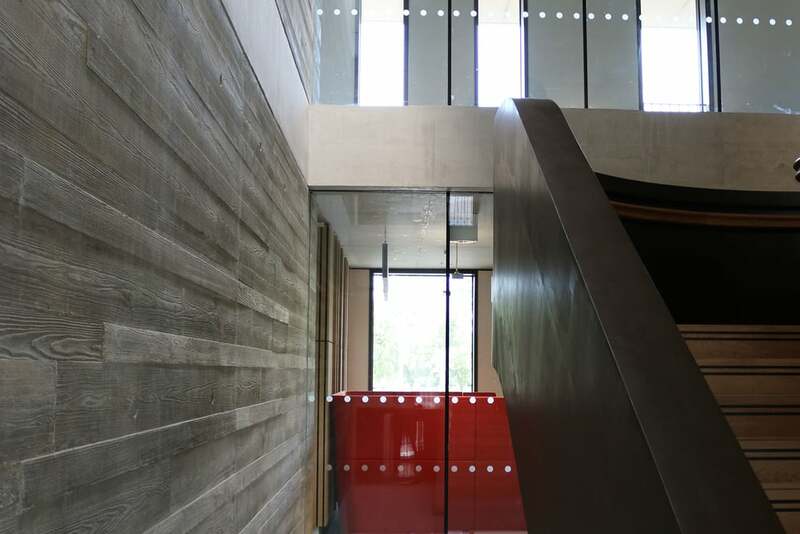 The form and composition of both buildings respond to the grain of the existing masterplan and the strong tectonic expression of the Albert Sloman library. 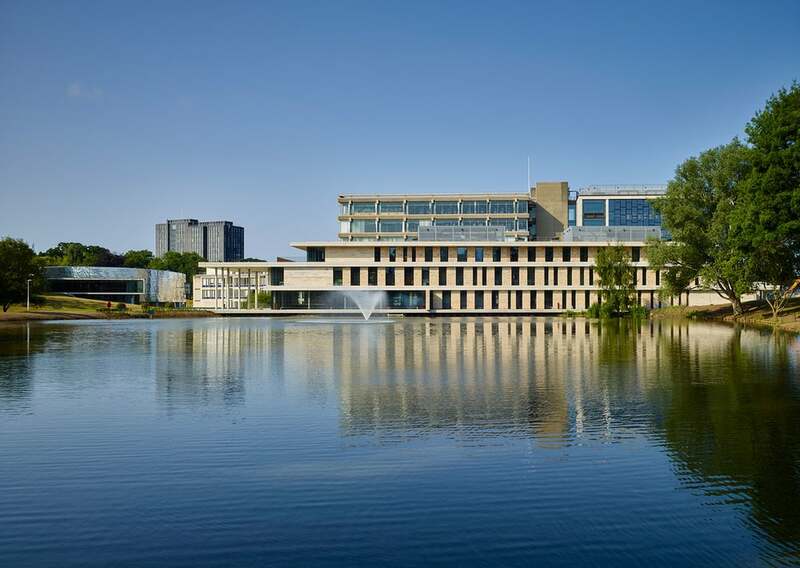 The student centre is the main reception for the university and provides a lakeside venue for key events. 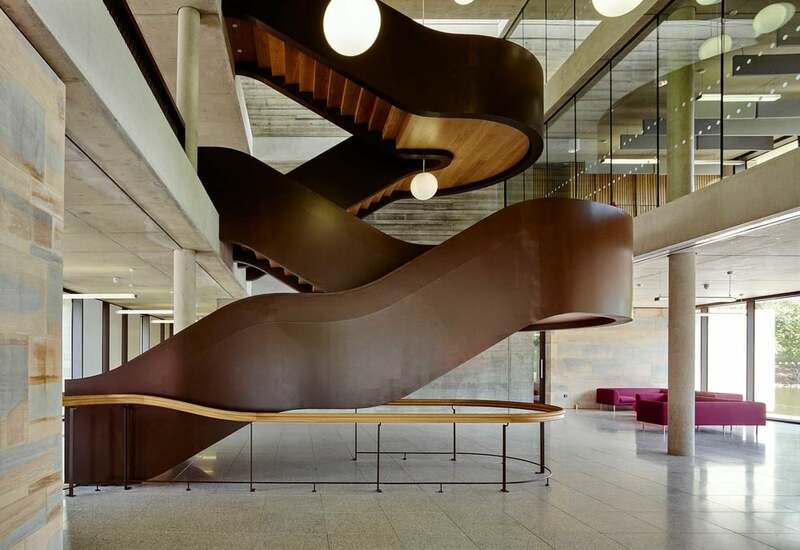 It also provides study and seminar spaces and administrative offices. 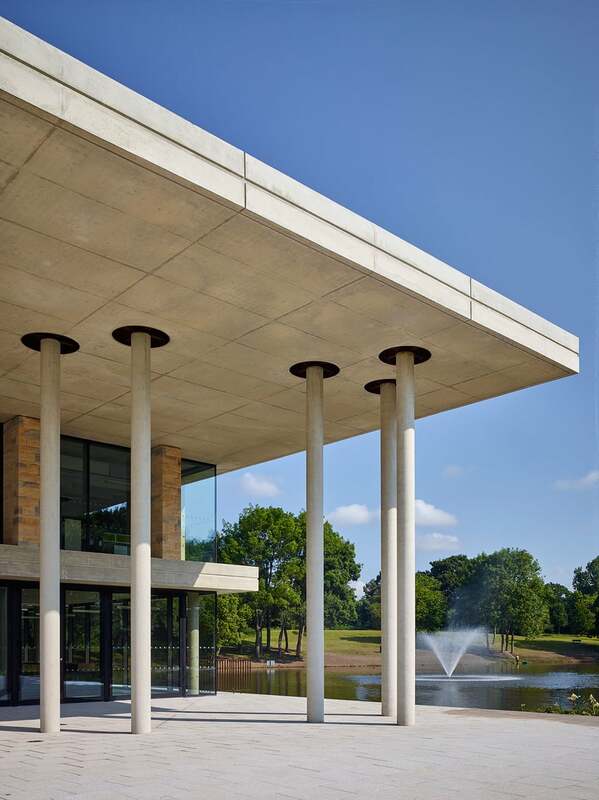 Built on the lake edge this long three storey building is given horizontal emphasis by the concrete floor slabs, visible internally and externally, with single storey walls and piers between. 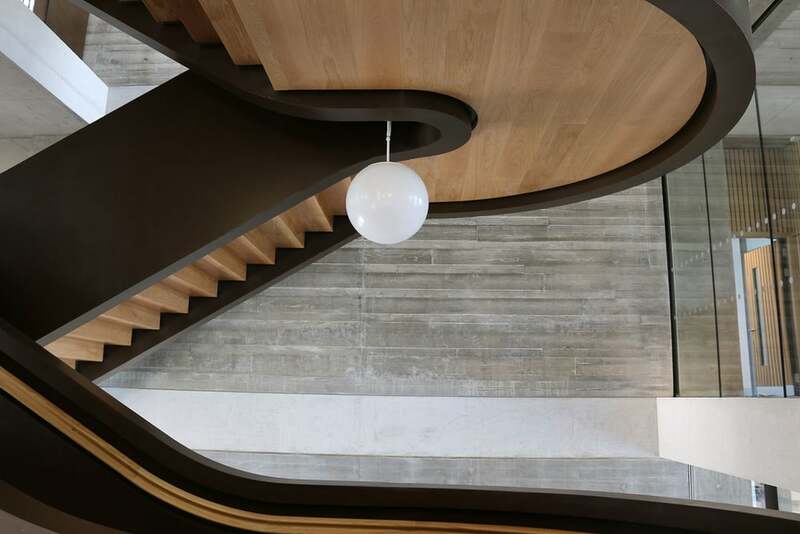 The focus of the reception space is the sculptural steel staircase.